Stacy is the Vice President of Development, responsible for cultivating strategic partnerships and multifamily housing development opportunities throughout the Mid-Atlantic. With over 12 years of community development leadership experience, Stacy has managed all aspects of the development process – from site acquisition through community engagement, to punch list close-out. 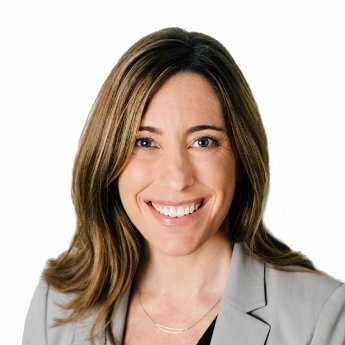 Stacy previously came from Brailsford & Dunlavey (“B&D”) where she advised institutional clients on housing and mixed use projects, with a specialty focus on public private partnerships. During her time at B&D, Stacy and her team developed student housing master plans for clients such as Rutgers University and George Mason University, and expertly advised clients on how to tailor workforce housing to support the strategic vision of a university or college and function as a major recruitment tool. Previously, as Development Director at Herman & Kittle Properties and Project Manager at DMA Development Company, Stacy oversaw the development of more than 650 affordable rental housing units worth over $119 million in Texas, Louisiana and the Mid-Atlantic. Prior to that, she was a real estate officer for the District of Columbia. Stacy earned a Bachelor’s degree from Indiana University and a Master’s degree in Public Affairs from the LBJ School of Public Affairs at the University of Texas at Austin. While in Austin, Stacy served on the City of Austin’s Building and Standards Commission and the Community Advancement Network. She has participated on and facilitated panel discussions at Affordable Housing Finance Live and Student Housing Business national conferences. Recently, she served as a judge for the Student Housing Business Innovator Awards for Best New Public/Private Partnership Development. She currently lives in Rockville, MD with her husband, two sons, and their rescue dog, Otis.